Wood fences are great for privacy and can add an exceptional decor to a house. 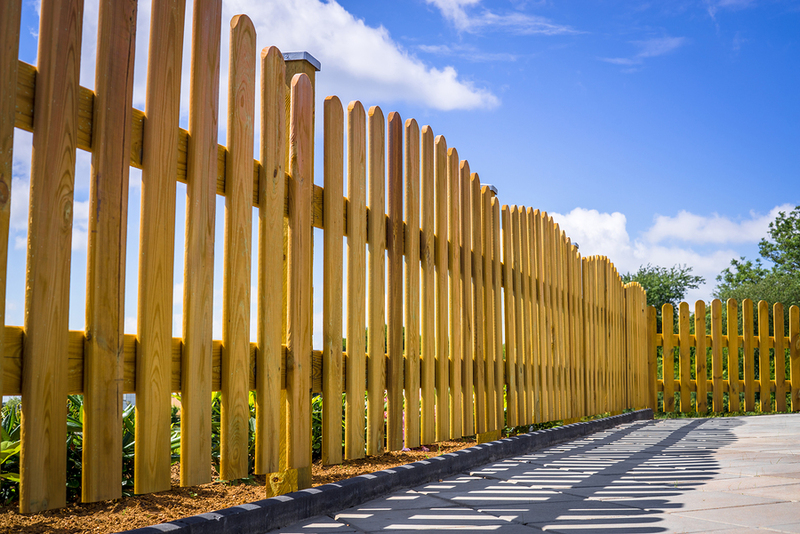 With some many different types of wood fencing there is no reason why we can't find one the style that suits your eye. ​ If for some reason you don't see a fence option you like please feel free and let us know what you want and we will accommodate your wishes. Above is your standard wood privacy fence in Kansas City. The standard wood fence is a little less expensive, but as you can see the frame is visible. Above is an example of the stone pillars with the horizontal wood fence. We also do horizontal fence, however you don'[t need the stone pillars do to that. The wood fence above you can see is stained and is solid. This is a solid fence with a cap on it. The fence typically is between the support post so that the cap will be in the middle. The horizontal wood fence has been become more popular in the past years. The look give a different feel to the property. This is your standard wood fence. This type of fence doesn't provide much privacy, but will cost less than your typical privacy fence. Above is a standard wood color, but if you want the "White Picket Fence" we know some great painters. KC Fence company also provides different wood fence options like above. This is a popular choice for a more decorative look than you standard wood fence.